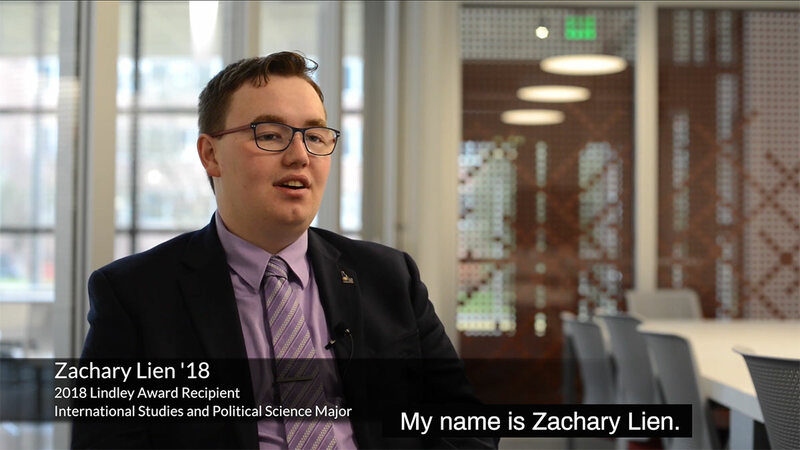 Learn more about Zachary Lien, CLASS’s 2018 Lindley Award recipient. The Lindley Award is given annually to the top graduating senior in CLASS. In the Department of Politics and Philosophy we give students the opportunity to study these disciplines in their contemporary forms — as degree programs in political science and philosophy. But we bring these fields together by giving students the opportunity to study in a community of students who are eager to understand themselves, our nation and the world, to serve the public interest and to articulate values for a better society. The Department of Politics and Philosophy is part of the College of Letters, Arts and Social Sciences. Jenny Baker at One World Cafe. Exploring the political process, American government, international relations, comparative politics, public administration and policy and beyond. Larry Stauffer studying in the UI Commons. By gaining insight into themselves, society and the human condition, students become ethical, thoughtful and contributing members of society. Complete your undergraduate degree (BA/BS) and finish law school with a Juris Doctor (J.D.) at the University of Idaho in six years.